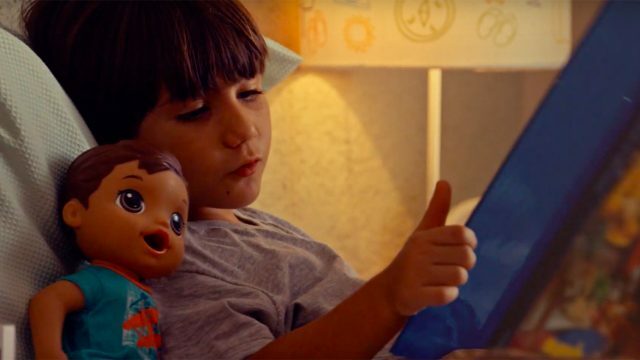 The first TV spots by Messner Vetere Berger McNamee Schmetterer/Euro RSCG for the White House’s anti-drug media campaign encourage parents to be vigilant about their children’s whereabouts, but flexible about how the kids express themselves. The New York shop’s work, done with the Partnership for a Drug-Free America, in cludes two spots and a print campaign. One spot, “Party,” shows a teenager with a lip ring dancing at a club. The girl whispers in a friend’s ear and pockets an unknown item that the friend gives her. The camera follows her to a bathroom stall, where she removes what turns out to be a cell phone, which she uses to call her mother. His mother walks up to him and, rather than comment on his looks, asks, “Jason, who else is going with you?” He answers, and she asks, “And you left the phone number?” He nods. “Be back before 11:00,” she says. The same tagline appears. Ron Berger, shop CEO and chief creative officer, said ads aimed at parents and kids must be honest and real. “The message to parents is you need to look deeper than the ward robe and say what you agree with and what you don’t,” he said. The commercials break today during shows such as Ed, Who Wants to Be a Millionaire, Dateline and The View. Print is appearing in magazines and newspapers such as USA Today. The idea for the spots first grew out of a creative strategy MVBMS designed for the Hispanic audience, where family relationships tend to be strong, said Berger. The shop adapted the concept to a more general audience.